Apostolic Titbits: Because He Died For Me, I Will See Him! Because He Died For Me, I Will See Him! In the Californian mining country stood a one-room mud cabin where a rough, hardened man lay dying. When Mrs. Barney went over the hills and visited him for the first time, her attempt to speak of Jesus and His death was met with oaths. “That’s all a lie,” the miner said, “Nobody ever died for others.” Her following visits were treated with less gratitude than a dog would have shown. One night, convicted that she had not really cared for the dying miner, Mrs. Barney prayed, “Oh, Christ, give me a little glimpse of the worth of a human soul.” She stayed on her knees for hours as Calvary—where Christ died—became a reality to her. “The Lord is going to save him,” she told her husband. The next morning, Mrs. Barney was accompanied by a neighbor with her little girl, Mamie. When the dying man heard the little girl’s beautiful laugh, he earnestly desired to see her. “I had a little girl once, and she died. Her name was Mamie. She cared for me. Nobody else did. Guess I’d been different if she’d lived. I’ve hated everybody since she died.” This affection strongly contrasted with the bitterness he felt towards his wife and mother. The old man kept saying, “Tell Him more ‘bout it, tell Him everything,” and poured out such a torrent of confession! On the third day, he turned from everything to “the man who died for me”. Some time after, a meeting was held in the cabin with boys from the mills and mines. “Boys,” declared the dying miner, “You know how the water runs down the sluice boxes and carries off the dirt and leaves the gold behind. 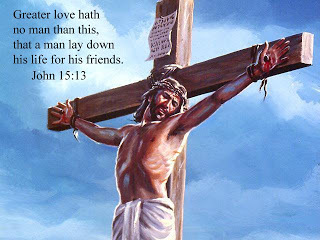 Well the Blood of that Man [Jesus],” he continued, “went right over me just like that; it carried off ‘bout everything. But it left enough for me to see Mamie, and to see the Man that died for me. Oh, boys, can’t you love Him?”.